Admission essays oftentimes revolve around personal information. A person writing such an essay is required to present their best qualities and competencies, so that the admission committee will be impressed. If you ask your friends, classmates or other people who are not professional writers, they will probably tell you that you merely need to re-edit your CV, and to explain some facts from it in brief. You are wrong if you think this way. What you need to do is actually to convince the committee that you are the right applicant for enrolling into their program as a student; and then comes the problem of a future career. Therefore, your essay is not the same as your CV! But now, let’s turn to some useful tips on how to write an admissions essay for nursing school. Present yourself in the simplest manner. You do not need to write too much about yourself (remember, your CV will be attached to your application documents). Tell a little bit about your family, origin, nationality (if applicable), etc. What made you apply for a nursing program? Further, you need to explain your motivation. Some event in your life has probably made you think more about the career in the field. For example, a case in which you have taken care for someone, or you have been a volunteer in the local hospital, or a center for the elderly. This should be a very important event for you. Describe it in a simple and easily comprehensible way; do not mention too many names or facts. The thing is this event had some influence on your decision, and here you are, now you are writing your admission essay. To be a nurse, you require to have not only comprehensive medical knowledge, but also knowledge in the field of psychology, social sciences, and sometimes you should also possess the skills to work with people from different cultural backgrounds. Thus, in contrast with doctors, as a nurse you should know a little bit more about different aspects of the social and cultural life of the society. Do not concentrate too much on your skills. It is enough to list a few of them (strictly related to your future profession, such as communication skills, tolerance, empathy, respect, etc.). Tell in general how you have improved them. You may also include some extra-curricular activities (prove them by attaching some certificates, awards, and so on). Be modest and moderate! Now you should say a few words about your future studies and career. What do you expect from your program? Are you ready to invest your time, efforts and hopes in it? Write two or three sentences about your academic success (academic articles, participation in conferences, participation in scientific contests, etc.) or high grades at school. The next part about your career plans is that there is a wide variety of choices; you can be not only a nurse, but also a hospital (or medical center) manager, to work at an education institution or NGO, to pursue an academic career, etc. As you see, you should have chosen one of these in order to sound more convincing. If you do not know exactly what you will do in the future, your application can be easily rejected. Remember that an interview, which you are going to have soon, will revolve around similar topics, so you cannot escape from it. One page and a half should be enough for expressing your thoughts and experiences in the essay. Writing an admissions essay for nursing school requires punctuality and conciseness from you. Try to connect the paragraphs with each other and have an appropriate introduction. However, do not write anything which you will not be able to speak about during your interview. Both the interview and the essay are inseparable. Keep this in mind and you will definitely do well! Writing an admissions essay for nursing school requires punctuality and conciseness from you. 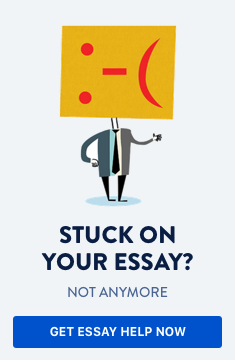 Do you need help with writing an admissions essay?